Elijah Wood, Rose Leslie and Vin Diesel in The Last Witch Hunter! The Lionsgate film The Last Witch Hunter has found yet another cast member. Lord of the Rings actor Elijah Wood is joining Vin Diesel and Rose Leslie in this film’s cast. To be directed by Breck Eisner, The Last Witch Hunter will begin shooting in September. Its storyline will revolve around an immortal witch hunter who will have to pair up with a witch so as to prevent a New York coven to create an apocalyptic event. Diesel will play the main character of the movie. 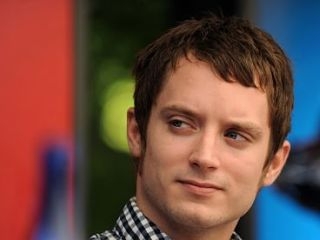 As for Elijah Wood, his role has not yet been revealed. Having recently starred in The Grand Piano, Elijah Wood is also one of the main characters of the on-going FX comedy series Wilfred. He is better known by all as the actor who has played Frodo the Hobbit in Peter Jackson’s Lord of the Rings trilogy. He has also briefly appeared in the first movie of the Hobbit trilogy. This film’s script has an original pitch from Cory Goodman as its base. Its screenplay was co-written by Burk Sharpless and Matt Sazama (Dracula Untold) and contributions to the script were made by D.W. Harper and Melisa Wallack. A release date for The Last Witch Hunter has not yet been made public.